For many, home decorating and design is not just a passion, but a borderline obsession. For these most dedicated decorators, the completion of one project marks the beginning of another. And the completion of every room in a home signals the start of a redesign. For others (myself included), a passion for decorating does not translate into a passion for re-decorating. Paired with affinity for timeless design, I tend to stick to finishes with staying power. If this sounds like you, review this list of what to include and what to avoid to ensure your home will look great long into the future, without much further effort on your part. Antiques: If that grandfather clock looks good after 80 years, chances are a couple more decades won’t hurt. Whites, Grays and Light Neutrals for Wall Colors: These are safe choices that won’t tie your home to a time period. Hardwood flooring: The blue jeans of interior decorating. Goes with anything, looks good with wear and never goes out of style. Stone finishes – With proper care, a conservatively-colored stone countertop can last a lifetime and look great all the while. 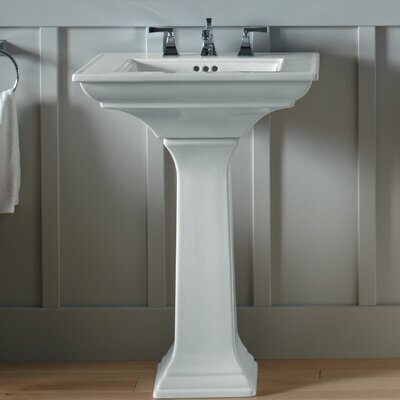 Pedestal sinks – While a pedestal sink may have a distinctively vintage feel, they remain a popular choice for small spaces and for adding a touch of elegance to a room. White toilets and shower units – You may not win any style points here, but in the long run, you’ll come out ahead. Just ask your neighbor with the mustard-colored toilet. White cabinets – Woods and finishes fall in and out of favor. White paint does not. Chrome finishes – Brushed and brass finishes have had their days. Chrome will always be there. Wallpaper – No doubt about it, Wallpaper makes a statement. After 5 years, you’ll wish it said something else. Carpet – As what’s fashionable changes, you’ll wish you could sweep your choice of carpet color and style under the rug. Modern art – What emerges from independent artists makes its way to mainstream decorating stores, shortly before showing up at Target. Time to move on. Tile flooring – Tastes change but tile doesn’t… easily. Bold wall colors – There’s a reason paint companies release color trends every year. Keep this in mind before committing to the latest look.